The best way to get to know a community is by scheduling a tour. 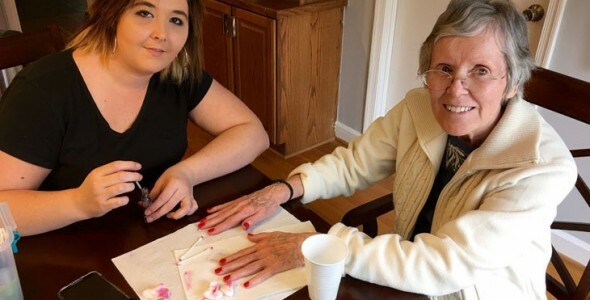 See the facilities, meet the staff and residents, and get a feel first hand what it's like to live at LiveWell Home Care Home Care. In 2008 our 83 year old mother was diagnosed with stage 4 lung cancer. The prognosis was terminal. It was very important for us to ensure that she received the best care possible throughout her final days. In the beginning we accepted the responsibility and assisted her with all of her care needs, but over time her needs morphed into 24 hours a day, 7 days a week care and we needed help. We decided to hire a caregiver and reached out to our mom's home health company, hospice company, and doctors for referrals. They provided us with referrals and we went through the process of calling local providers, but in general, we as a family did not feel comfortable with the providers that were sent over for interviews nor were we satisfied with how long it took to get care givers for interviews. Our mom was blessed to have lived in our family home for 15 years after the death of her husband (our Dad). We had young children in the home, so it was extremely important to us to find someone that we not only trusted to provide care for our mother, but also someone that we could trust around our children.